Wouldn’t it be great if there was a cloud based file backup system that put Linux FIRST? One that made it so we didn’t have to use FUSE? One that didn’t put out a Windows client first and the Linux client was an afterthought? One that you could get installed and configured quickly and easily which would allow you to ‘set it and forget it’? Me too! Until a few weeks ago…I wasn’t sure something like that existed. Then I was approached by the founders of JARVYS, a backup software solution that does just that. I had a chance to interview Cade Proulx and Matt Connor of JARVYS to understand a bit more about how it works, where it is headed, and why its perfect for those of us who develop on Linux. I’d like to disclose that JARVYS is a sponsor of this blog. Q: Tell us a little bit about yourselves? A: Matt has been using and developing with Linux for around 15 years and I’m (Cade) a gamer at heart (MOD creation, Rig building, etc). We met at Chapman University and began to take our start-up ideas into reality with SSD Nodes, JARVYS and Xerq.io. We’re active in the venture capital and start-up scene; not only for ourselves, but also helping others to get started. Q: Where did the idea of JARVYS come from? A: We have a company named SSD Nodes that provides on-demand datacenter services, specializing in reliable, high performance cloud computing. We provide a massive dynamic platform that allows you to quickly innovate and deploy your applications on a global scale. With that being said, our customers had a need to do small file level backups with a way to easily restore. Q: So is JARVYS only for people who need datacenter level services? A: Not at all. The idea for JARVYS is to provide a quick (you can get installed and backing up in 60 seconds) and easy way for end users to get started with backups. We wanted to provide a very low barrier for entry on these types of backups and restores…to make it so that people can get to working with what matters to them instead of worrying about backups. 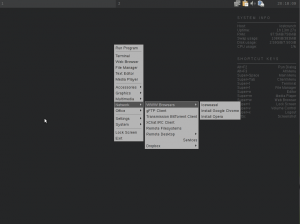 JARVYS will work on servers or desktops…it doesn’t matter. What matters is that JARVYS gets out of the way and lets you do your work while it continues to back your important stuff up. Q: When was JARVYS founded? A: We’ve been using the idea and backup solution with most of our customers at SSD Nodes for a long time…but JARVYS as a company and product only came to be in August or September of this year. It was at that time we really made the code modular and cleaned it up enough to make it presentable. We’re still in beta right now as we’re introducing some great features like zero-knowledge encryption. Q: How did you come up with the name “JARVYS”? A: JARVYS is a very popular name in the French language and we thought of JARVYS as a butler of sorts. It seemed fitting that our software just took care of the backups for you…much in the way a butler would if you had one. Q: How many people work on JARVYS at the moment? A: We currently have 7 employees and growing. Q: So what programming language do you use for JARVYS? Q: Is there an API for end users to build on or a plugin system? A: Not yet, but in the future we plan on having a very robust API and plugin framework. We really want people to build things on top of JARVYS. Q: What are your ultimate goals for JARVYS? A: We want JARVYS to make dataloss a thing of the past. We’ve seen so many customers mess up backups and lose data. There are so many holes with data preservation. There are so many moving parts to a backup such as the restore, notifications for success and loss. And of course, a backup system isn’t complete until you’re able to restore your data. It is our hope that JARVYS takes the difficulty out of the backup for Linux users. Q: Let’s say I’m a customer and I install and get started today. What happens to my data/backup? Is it encrypted? A: The JARVYS client uses an encrypted SSH tunnel to transmit your data to our servers here. We’re still in beta right now but ultimately we’re looking at an encrypted storage place for everyone’s data. We want this to be YOUR data…we want to make it so that you hold the keys to the kingdom and not even JARVYS can see your files or decrypt them. We’re not there yet but we are currently developing and testing this ‘zero knowledge’ storage system right now. Q: Do you have a free plan? If so, will it always be free? A: Yes, we have a free plan. We feel that with developers and the Linux community that there should always be a free plan. It’s important that we contribute and give back because we’re standing on the shoulders of giants. It just makes sense that if we take, we should give. So we’ll always have a free plan that can get you started with hassle free backups within 60 seconds. A: We’d say that it really isn’t like Dropbox at all. 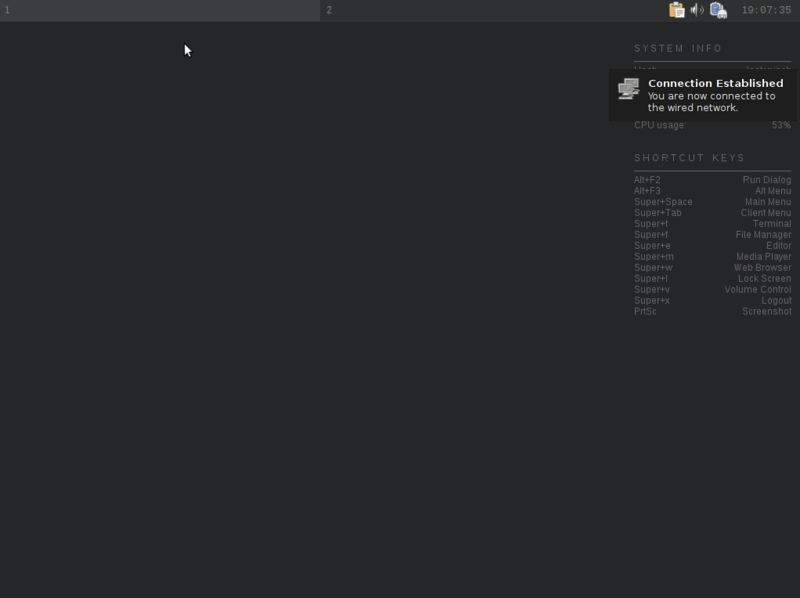 For example, with Dropbox restores aren’t going to be seamless with a single command like they are with JARVYS. Dropbox also has a daemon that runs and it uses FUSE on Linux. 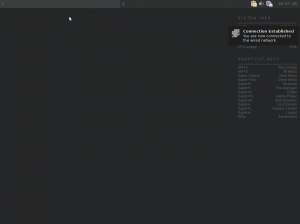 JARVYS is cron enabled and only runs when the backup happens. It’s designed to have a very small footprint. Restores with JARVYS take less than a few seconds while restoring files with Dropbox will take quite a bit longer. Q: How do I keep up to date with JARVYS releases and news? A: You can find us on Twitter, Facebook, and Google+. You can also keep up with JARVYS on our Blog. Q: Where can I check out JARVYS? A: You can get started using the free plan we mentioned above. As we said, it’s free and will always be free. Alternatively, we’re offering a special for Yet Another Linux Blog readers: 20% off, any tier plan for the lifetime of the plan. It’s a great deal! To take advantage, simply use the code “linux-blog” at checkout. Head over to our pricing page to get started. We hope JARVYS takes the hassle out of your backups and thanks for checking us out! 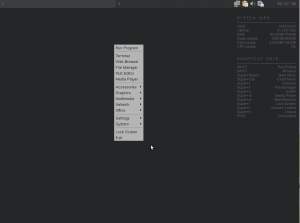 In my quest to find a professional and polished distribution of Linux that used KDE as the default desktop…I tried out quite a few flavors: Kubuntu, Salix, Manjaro, PCLinuxOS and even OpenSuse. All done in the past few weeks. Each time I installed these distributions on this Dell Latitude D630 I pretended I had no idea how Linux was supposed to work. I’d step through like a less than technical person would do. How do I connect to wireless? Is it easy? Can I stream Youtube videos? Will my mp3 collection play? How do I manage that mp3 collection? Will DVD’s play? Do things ‘just work’ out of the gate? The majority answer for most of these distributions is a resounding “NO”. One distribution however, stood above the rest of them. Instead of stopping on one of the above questions…I found myself having to create new and more intricate ones. This distribution wasn’t holding me up…it was pressing me forward. THAT is what a distribution of Linux should do. It should be out of the way and allow you to get on with your business. The distribution that does this the best out of that handful mentioned above is Netrunner. I have an old Dell D630 Laptop which was a standard business line laptop from Dell circa 2007 or so. It’s got an Intel Centrino and I loaded it up with 4 GB of RAM. It has a 40 GB Hard drive in it and an Nvidia Quadro graphics card. Overall, nothing special. It’s very Linux friendly overall and I’ve used numerous distributions on this laptop since I picked it up at a liquidation sale. 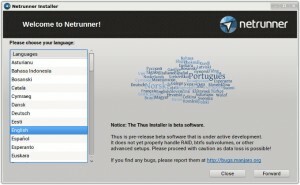 Netrunner uses the Manjaro installer. 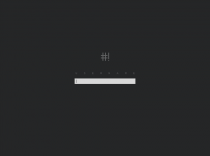 Manjaro is based on Arch Linux. Normally when people think of Arch Linux, they think of a very technical distribution that is only for the Linux elite. The installer for Netrunner shuns the idea that you need to speak binary to install it. Simple choices are laid out for you…I was able to encrypt my hard drive and didn’t need to know how to partition anything to get it moving. The wizard was, simply put, phenomenal. It was a well put together and excellent installer. I’ve found Netrunner to really and truly be out of my way. I don’t have to think to use it. I open up music and play it. I watch movies with no issues. I browse Youtube videos without a thought. Flash video just works. When I pop in a USB Drive, it detects and mounts like I’d expect it to. Overall, the operating system gets out of my way. I normally use Openbox for my Linux laptop and I’ve actually gotten used to using KDE because of how polished Netrunner rolling is. One of my favorite things about Netrunner rolling was Octopi, the graphical front end for pacman. This tool allows you to manage all the packages on your system and to search out new ones. It also allows you to manage AUR packages as well. While this might not be something the average user would dive into right away…having been an Arch and Manjaro user before…I found it fantastic to have a “one stop shopping” experience via Octopi. The overall speed of the distribution is fantastic. I found none of the slowness that plagued the laptop during the testing of other distributions. Things were quick and crisp when opening. The only time I experienced slowness was when I had about 15 browser tabs open and was trying to open GIMP (I also had KDE Telepathy, Konversation, and dolphin open in the background). Overall, I’ve found the speed quite acceptable. 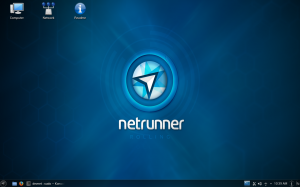 My overall conclusion with Netrunner Rolling is that there is no better Arch platformed Linux distro with KDE as the default environment out there. It just works. It gets out of the way and it gives the end user a clean, crisp and efficient desktop right out of the gate. You don’t have to know binary to get it installed, updated, and running. You don’t have to sacrifice a goat to Cthulhu (I’ve heard that comes later?) to have a pleasing KDE experience for your desktop. I keep saying this, but it just works. I found it really odd that I hadn’t heard very much about Netrunner in the past but I readily admit that I hadn’t kept up with KDE based distributions in the past few years due to my fascination with Openbox. 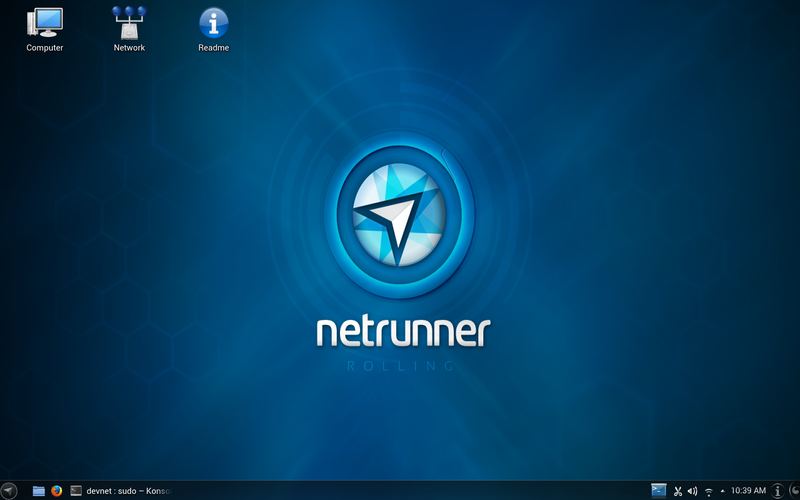 Netrunner has won me over though…I will definitely be paying attention to this fine distribution in the future as it has taken its place as the top KDE distribution I’ve ever tried. I hope you’ll give it a try in the future (if you haven’t already) and kudos the developers and community of Netrunner! Sometimes you just want a quick and easy way of downloading large files. If you’re like me, you want this with as little of a memory footprint as possible. Aria2 gives me this ability. When downloading a torrent for a recent Linux release, I was able to do this with only 5MB of memory being used. No other download programs can give me this. What’s nice about aria2 is that you can download the same file from multiple sources (mirrors) and cut your download times with each source. You can also open multiple pipes to the same download which shortens the time as well. Let’s take a quick look at what aria2 can do for your downloads. This took 15 minutes 47 seconds to complete. The file size is 941MB. My Internet connection at home has a max download of 10MB and upload of 1MB. The -x2 in the above command pipelines the download of the ISO into 2 separate threads. This speeds things up considerably. Be wary of using too many threads though because many websites out there will throttle you down in speed should you open more than 3-4 threads. Aria2 supports more protocols than you can shake a stick at including magnet links, bittorrent, metalink and even ftp. There are many command line flags and options you can use and you can even call aria2 using JSON-RPC and XML-RPC through the web. All together, aria2 is scalable, flexible and lightweight…there isn’t much it cannot do. If you’re looking for a lightweight download utility, aria2 has you covered. I love CrunchBang Linux. In my opinion, it’s one of the best distributions of Linux for older computers (heck, any computer) that is actively developed. I pieced together a Gateway M250 laptop a year or so ago (3 bad ones parted out into 1 good one) and loaded it up with max RAM (2GB). It’s now a handy little 14 inch laptop with a 1.73Ghz single core Centrino processor. Not bad…but when playing videos or streaming them, it can really struggle. So keeping the operating system lightweight on it is a definite must. This wizard will take you through a plethora of tasks…including, but not limited to, getting you connected to the internet, installing development tools, installing web server tools, installing software development tools, and of course…updating your install. You’ll be able to select each that you want to perform or skip each depending on your need/desire. THIS is how a first run wizard should be. This wizard is just a simple script but it does more in the first few minutes for new users than any first run wizard I’ve ever seen. 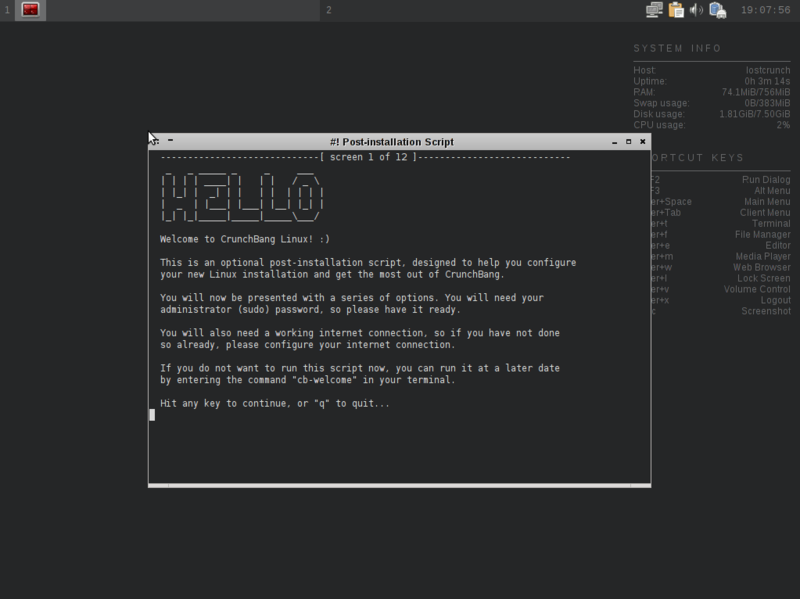 In my opinion, this tool puts CrunchBang head and shoulders above just about any other distribution of Linux out there. This lightweight approach to things permeates the entire install. Now that you’ve made it through the first run wizard, we can explore the various applications installed by default. For a list, please see the CrunchBang wiki entry. I’ve found that there is a lightweight replacement for everything I’m accustomed to. You access these applications by right clicking ON the desktop…which is the standard way to do this using the Openbox window manager. As you can see, there is a well organized menu structure for the applications that are installed and the appearance provides a uniform appearance just like all other areas of the distro do. The theme is modern and elegant and continues throughout the menu structure. Are you a Firefox, Opera or Chromium fan? Doesn’t matter. Install scripts are provided inside the menu to get you the right browser right away. Just a small detail that shows the creator of the distro isn’t thinking about only themselves but rather, the standard user. 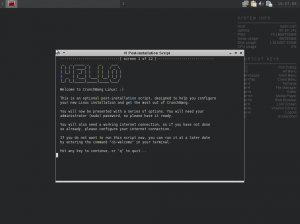 I recommend CrunchBang Linux for ANYONE out there…regardless of skill level…who wants a lightweight, complete, and polished distribution of Linux with very few hassles. Some of you may have noticed a few blips in RSS feeds during the last month or so. The blips were caused by two things..
Now, I’ve been running the new blogging engine and software for over a month now so that I could form an opinion on both of these items. I’m happy to say that WordPress fits the bill quite nicely (more on that in later posts)…but that my host is the BEST part of the changes that have happened. Evolution Studios offered me some server space on their servers…Linux of course…and not a moment too soon. My old account was beginning to crawl with latent page loads and the service had grown latent as well. Evolution Studios stepped in and made me a great offer and asked that I evaluate things and post my honest opinion (whether good or bad) of how the transition went and how well the service is. Just some background on Evolution Studios: They power all of the media behind ping.fm and chris.pirillo.com (yes, THAT Chris Pirillo). Those two sites alone generate a huge amount of traffic and have elected to go with evolutionstudios.org to be their media workhorse. I can honestly say that both the transition and service went beyond my expectations. Not only did I have one of their engineers helping me every step of the way, I was able to approach that engineer with all of my questions being answered in REAL TIME…which was fantastic. So why all the hoopla? Why would I go out of my way to give these guys a “thumbs up”? One word…or URL rather. Ping.fm is one of their clients. I use ping.fm on a daily basis…it allows me to make one post to ALL my social networks via Instant Message or igoogle page widget. It’s fast and easy. And all of their media is powered by Evolution Studios. So, despite having HUGE customers like Chris Pirillo and ping.fm which both have millions of users on a daily basis…they still found the time to hold my hand through the migration and bent over backwards to make my hosting experience BEYOND EXCELLENT. I think these guys will continue to grow and will continue to bring on like minded individuals who are courteous and professional…and I think their clients will benefit. I’ve been asked by various people how I keep up to date with technology news, research, and the latest reports…mainly because I’m never at a loss for words when discussing something (big mouth much?). Of course, many people haven’t heard of RSS at all and don’t know that one can have a program to read multiple sites in a short amount of time. I previously used Sage reader as an extension in firefox and exported my OPML list (which I kept on a thumbdrive). This allowed me mobility…I could check the news on just about any feedreader or use portable firefox and sage to get things moving. I could edit my OPML list quickly and easily. Despite the luxury this bought me…I found myself missing out on many big stories. Let’s face it, not everyone knows how to title and tag their blog entries (current company INCLUDED) to correctly reflect what the subject matter is. Since RSS readers only get a small synopsis of the head of an article, it’s difficult to find out if you want to read the article or not. I found myself missing some key phrases that I normally wouldn’t miss (like FOSS, FLOSS, and OSS) mainly because I wouldn’t see those in the third sentence of the synopsis when I was quickly scanning my feedlists. So, I searched for something that was better than those I had used: Pluck, Sage, Owl, Sharpreader, Wiz. I found it. And to my delight, it’s a cross-platform, GPL Licensed, Feed-synchronizing one that delivers unparalleled functionality and options. There’s nothing like it on the planet. If your interest is peaked, you’re in for a real treat if you keep reading.